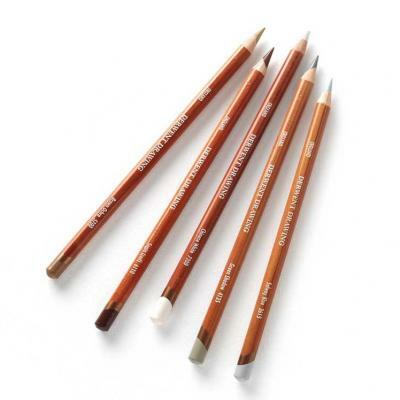 This is drawing at its most natural, both in the exquisite colour range and the creative potential of this unique and rewarding pencil. Drawing has an extra wide, creamy textured strip which produces a beautifully soft, velvety finish. It is the perfect medium for wildlife and nature studies, natural portraiture and dreamy, evocative landscapes. Drawing is available in 24 subtle shades, including a wide selection of traditional sepia tones together with soft neutral greys, greens, blues and creams. The pencils are absolutely fine. Really lovely pencils - soft, good coverage and excellent for sketching.